REBULLETIN INFORMATION: THIS ANNOUNCEMENT IS A REBULLETIN TO UPDATE THE SPECIAL SALARY INFORMATION. PERSONS WHO HAVE APPLIED WITHIN THE LAST 12 MONTHS NEED NOT REAPPLY, BUT MAY SUBMIT ADDITIONAL INFORMATION IF THEY WISH. THE INFORMATION MUST CONTAIN THE CORRECT EXAM NUMBER AND NAME. Due to manpower shortage, appointees in the Pathology-Forensicspecialty shall be compensated at Step 12, $18,318.00. Candidates who are board certified in Forensic Pathology will receive an additional bonus equivalent to 5.5% of base monthly salary. Full time, permanent, physician employees are allowed ten (10) days or eighty (80) hours per calendar year for approved continuing education purposes. 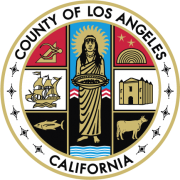 Los Angeles County offers one of the strongest public-sector benefits packages in the nation which includes a Defined Benefit Retirement Plan, Deferred Compensation Plan, and a Cafeteria Benefit Plan where employees mayelectmedical coverage, dental coverage, group life insurance,AD&D insurance, health and dependent care spending accounts, and long-term disability health insurance. Incumbents in these positions are physicians licensed to render specialized professional medical services in Forensic Pathology. Positions allocable to this class report to a Chief Physician and provide specialized medical services which requires completion of an approved residency in Forensic Pathology. The Physician Specialist, M.D. performs the full range of professional level work includingautopsy procedures, determining cause of death, assessing signs of illness or injury,reviewing laboratory and radiological data, and directing forensic techniciansin autopsy procedures. The position is responsible for training and/or assisting in the training of physicians assigned to residency or fellowship programs. Incumbents are required to exercise knowledge of departmental policies and procedures and to actively demonstrate skills typically associated with Forensic Pathology. Performs medical work in a specialized medical field, including specialized autopsy procedures within Forensic - Pathology specialty. Conducts training or assists in the training of resident or fellow physicians. Consults with staff physicians regarding medical and diagnostic work performed. Conducts the more difficult post mortem examinations and may provide training of other physicians engaged in these activities. Certifies as to the cause of death and testifies in court as an expert witness. Develops new techniques within the medical specialty, as needed. Conducts specialized research, special studies, and services, including preventive and educational strategies, as needed. Completion of a residency in Anatomic Pathology or Anatomic and Clinical Pathology AND a fellowship* in Forensic Pathology or equivalent training**approved by the American Board of Pathology,andCurriculum Vitae (CV)***. *Applicants who will successfully complete their fellowship program approved by an American Specialty Board within six (6) months of filing may compete in this examination. However, their nameswill be placed on a withhold status on the eligible register. ApplicantsMUSTsubmit a copy of their recommendation letter from the Residency Program Director confirming good standing and anticipated successful completion date,at the time of filing or fax it to (213) 380-3681 within fifteen (15) calendar days of filing online. The recommendation letter must be on a legible letterhead from the accredited institution which shows the area of specialization. In the event candidates do not successfully complete their fellowship program, their names will be removed from the eligible register. A copy of the completion of fellowship program certificate must be submitted before appointment. Applicants who have completed a residency and/or fellowship program approved by the American Specialty BoardMUSTattach a legible copy of their certificate of completion to the applicationat the time of filing or fax it to (213) 380-3681 within fifteen (15) calendar days of filing online. **Equivalent training is defined as that training which the appropriate American Specialty Board formally recognizes in writing as being equivalent. ***A Curriculum Vitae (CV) provides a summary of one's experience and skills. It includes information regarding academic background, including teaching experience, degrees, research, awards, publications, presentations, and other achievements. ****Applicants who possess the requiredCalifornia State Physician and Surgeon's Certificateauthorized by the Board of Medical Examiners of the State of California and Certification by the American Board of Pathology in Anatomic Pathology orAnatomic and Clinical Pathology,must attach a legible copy of their certificateto the application at the time of filing or withinfifteen (15) calendar days from application submission. If you are unable to attach the required documents, you must either email to oarteaga@hr.lacounty.gov or fax to (213) 380-3681 within fifteen (15) calendar days of filing. Please include exam number and exam title. The required license/certificate MUST be current and unrestricted; conditional, provisional, probationary or restricted license/certificate will NOT be accepted. This examination will consist of a review and appraisal of qualifications based upon information from Curriculum Vitae, weighted 100%. This examination will assess procedural competencies, cognitive and diagnostic competencies, administrative competencies, and dispositional competencies. Applicants must meettheSelection Requirementsand achieve a passing score of 70% or higher on the appraisal of qualifications in order to be placed on the eligible register. Final results will be sent by U.S. mail. Scores cannot be given over the phone. The names of candidates receiving a passing grade in the examination will be placed on the eligible register in the order of their score groupfor a period of twelve (12) months from the date thelist is created. Candidates selected for appointment will be extended an offer of employment that isconditional upon the results of a background investigation which includes a medical screening and a psychological evaluation. SOCIAL SECURITY NUMBER:All applicants must enter a valid social security number at the time of filing. Entering anything other than a valid social security number (i.e. 000-00-0000, 111-11-1111, etc.) will result in an automatic rejection of your application.